Today we are going to spotlight one of the newest College of American Pathologists (CAP) accredited labs in the U.S. Dynamic DNA Labs is on the cutting edge of technological advancement in the area of pharmacogenetic testing. This month they received the gold standard of accreditation in the field of molecular genetics. The endorsement of the CAP has put them in rarified air in the pharmacogenetic testing field. Today we are going to look at some of their tests as well as what sets them apart from the competition. The team at Dynamic DNA Labs offers four different pharmacogenetic testing options. Tests vary in pricing for $350-$600. You are also able to have insurance help cover the cost of testing. Test results are shared directly with you if you pay for the genetic testing yourself. Don’t worry; they offer all the help you need to interpret and understand your results. If you have your doctor authorize the pharmacogenetic testing, the results will be shared with them, and they will interpret your information for you. Precision medicine is the future. Knowing what medicines work best for your body is an excellent tool in treating your health conditions. Pharmacogenetic testing could save your life. Opioid pain relievers have become commonplace in the treatment of all sorts of pain. Knowing how your body will respond to certain pain medication could keep you from falling victim to addiction or an accidental overdose. This test screens for more than 30 drugs used in the treatment of chronic or acute pain. Pharmacogenetics testing may shine the most when it comes to pain management. Cardiovascular diseases are the leading cause of death in the United States. Therefore, you can see how important it may be to know what medicine would work best for you. Dynamic DNA Labs cardiovascular genetics testing panel tests for over 25 heart disease medications. Finding out what works for your, may be the difference between life and death. You may know that 10% of American’s are on some form of antidepressant. But did you know that almost 40% of people prescribed these medications suffer negative side effects? Knowing how psychiatric medication will affect your body could allow you to avoid the negative side effects that are associated with different drugs. Dynamic DNA Labs tests for more than 30 psychotropic drugs. This test combines all of the other panels, plus additional drug classes. In total, the comprehensive panel includes tests for over 200 medications. The added drug classes include diabetes, urology, infectious disease, and cancer. Being armed with all this information could help you, and your doctor find the correct medicine for your body without trial and error. The best thing about DNA testing is that your DNA never changes. Once you find out what medicines your body will react best to, you are armed with this information for life. This could be exactly what you and your doctor need to treat any medical issues that may pop up. Pharmacogenetic testing and precision medicine are the future, don’t be left behind. Dynamic DNA Labs is not only accredited by the CAP, but they are also CLIA certified. Dynamic DNA does all of their tests in-house. This reduces the cost to you the consumer and guaranteeing the quality and testing standards. 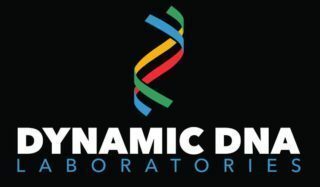 The team at Dynamic DNA has decades of experience in the fields of research, testing and crime laboratories. Their work has been published in a variety of scientific journals. The Centers for Disease Control and Prevention has highlighted part of their research. As you can see Dynamic DNA Labs has it all. Contact them today to figure how they can help you.